You may have heard many things when it comes to buying Chinese solar panels. Below, we will touch on the misconceptions surrounding Chinese solar panels. Myth #1: Chinese solar panels are lower quality. According to studies, China is responsible for over 70 percent of all solar panels that are manufactured worldwide. With China’s massive push to become a leader in mass market high-performance solar technology, solar panels manufactured in China have never been more advanced and cost-effective. Containment: Chinese central inverters are normally located indoors, enabling lower costs associated with weather, cleaning and cooling, in comparison to the U.S. located their inverters outdoors. Supply chain: The cost of procuring materials in China is much lower than the U.S., even though Chinese producers utilize some of the same suppliers as other European and American companies. 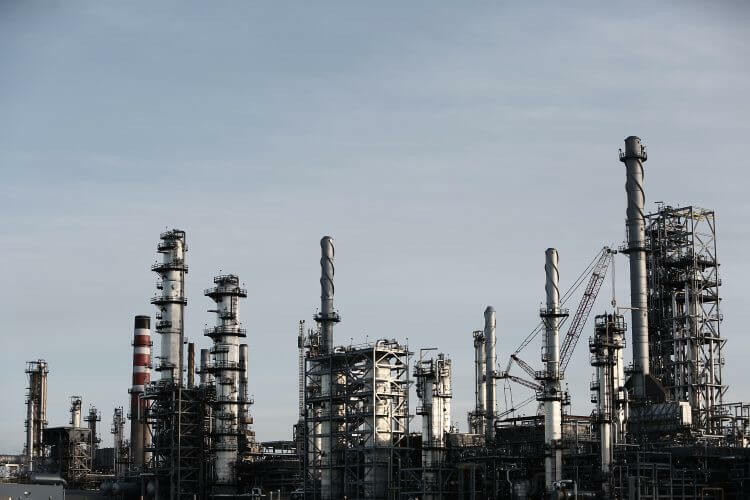 Testing: The U.S. has stricter testing requirements when it comes to added utility-integration and labor costs, which although can uphold quality purposes, can make products much more expensive. Overall, the takeaway is that global solar products have a wide range in quality, but that depends on the type of manufacturer that you choose to work with, rather than the location or country it is being produced in. Myth #2: Chinese solar panels are less efficient than solar panels made elsewhere. Efficiency is one of the most important aspects of buying solar. 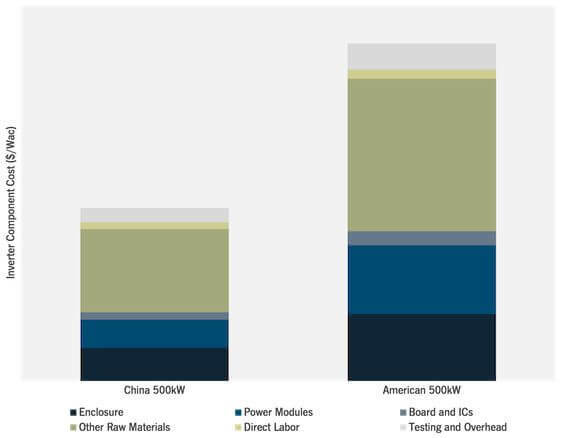 From the manufacturer’s point of view, if they are able to produce their solar modules with the highest efficiency, it will cost them less materials to generate a module at the higher wattage. Therefore, it would enable them to produce more modules at a lower price, leading to overall cost reductions. From the buyer’s perspective, the more efficient the module is, the less modules they need to buy for their solar project, hence saving them money on the project’s final price. As you can see, everyone benefits from increased efficiency. Higher efficiency leads to projects with less BOS components, less labor, and less maintenance. Associated with the misconception of Chinese solar panels being “lower quality,” similar statements can be attributed to efficiency as well. There are plenty of innovations going on behind the scenes in China, as the government continues to invest more into developing more advanced PV modules. As for today, Chinese solar panels have some of the top efficiency in the world. 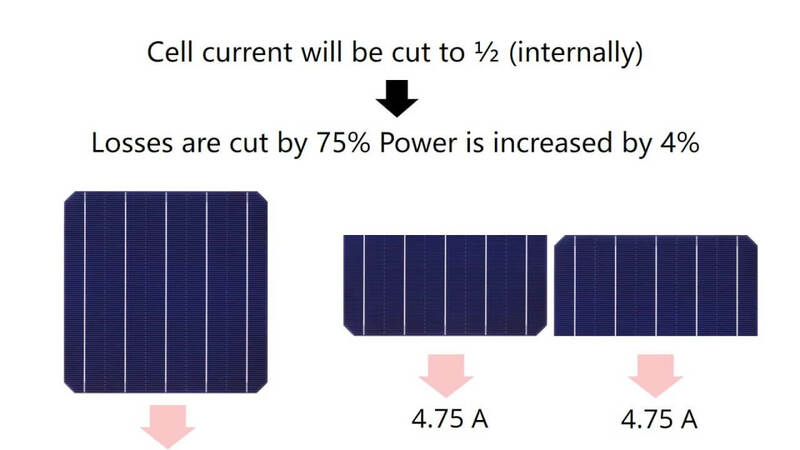 A more recent example of module efficiency gains comes from the split cell module. 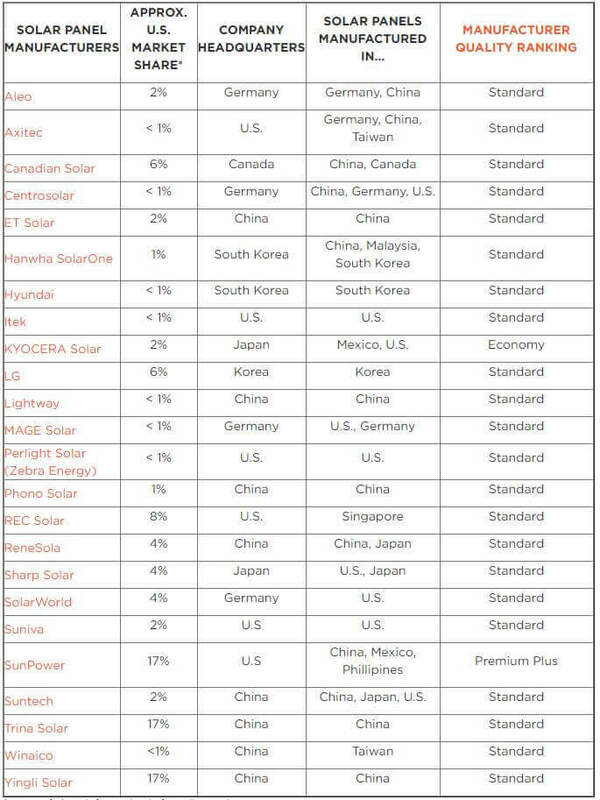 Below, is a table listed with the 12 top solar manufacturers in the world. As you can see, the majority of the companies are Chinese. Source of Chart Information is from Seeking Alpha. Myth #3: Chinese solar panels are only used by Chinese solar companies. 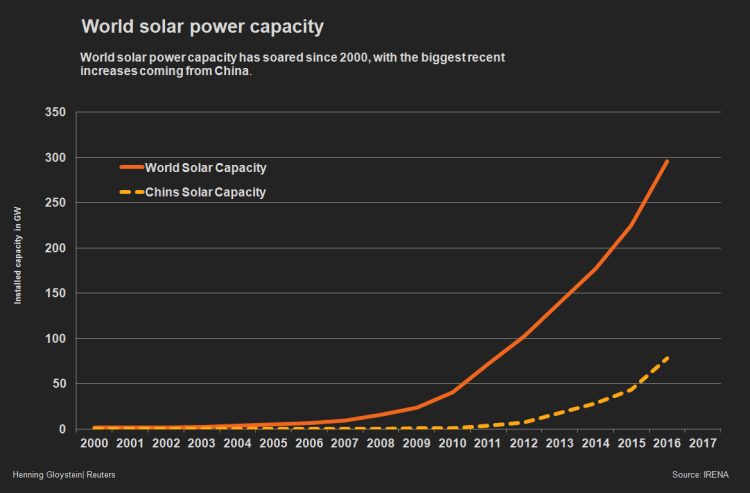 Indicated in the chart below, it is apparent that reputable, well-known manufacturers from all-around the world manufacture their solar panels in China. It is no secret that producing products in China is often derives a much lower cost than elsewhere. With more solar companies turning to China for their manufacturing, the more likely that your solar panels will be made in China. Source of chart information is from EnergySage. Overall, when it comes to researching about where to get your solar modules, have an open mind and judge the quality of the manufacturer by their track record rather than the region that it is produced in. There are 3rd party companies that can be used to check the production standards and quality of the products being delivered before they leave the factory. Service companies like Kisun Solar offer independent PV Quality Assurance at solar factories around the globe. Buying locally is a major concern for some industry participants and this topic is far reaching in its complexity. With that said there is nothing wrong with supporting local jobs, however there are more jobs in the design, installation and upkeep of solar installations then in the actual manufacturing of the modules. At Symtech Solar, we are an upstream solar company that does in-house manufacturing and assembling located in Shanghai, China. Quality assurance at a cost-effective price is extremely important to us, which is why all of our solar solutions utilize our Sympack technology, the ideal solution that will support solar energy system shipping internationally. If you have any questions or concerns regarding achieving safe, quality-assured PV systems, we will gladly assist and answer any questions you may have have.